Shigeo Kageyama is a middle school boy; he is nicknamed Mob or someone without a presence at first glance. Although he looks like an inconspicuous person, he is rare in this world. In fact, he is powerful, with immense psychic power. To keep from losing control of this power, he decides to learn more about his abilities. Somehow, he ends up working as an assistant to Reigen Arataka, who claims to be a powerful psychic; however, he is actually a scammer. One day, a couple comes to Reigen office asking for help, the woman says something strange is going on their apartment building. On the other hand, the man thinks everything, and especially Reigen seem sketchy. Either way, they accept to take Reigen with them and visit the location, on their way, he begins to brag that he might be the best psychic around. After a couple incidents, they finally are inside the building, and indeed, there seems to be a spirit haunting the place. Of course, Reigen has no power to deal with a spirit, and decides to call Mob. He does not realize that Reigen is a fraud, and simply does his job without making questions, or wondering if his pay is fair. 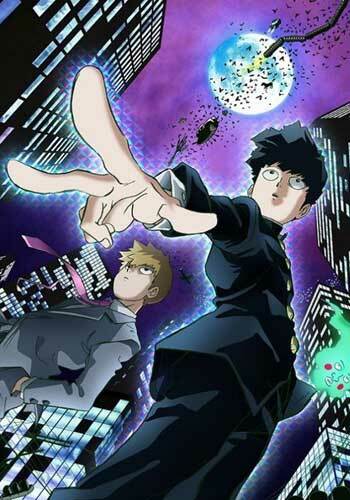 At home, Mob tries to have a normal life; however, sometimes his psychic powers complicate his daily life. His father and brother are supporting, but his mother is tired of seeing bent spoons during dinner. The next day at school, Mob tries to stay calm and live a normal life, and as any adolescent, he has a crush on one of his peers, has problems staying awake during class, and shows no physical abilities at all. As he returns home, Mob receives a phone call from Reigen, they have a job, and needs to meet him at the train station. In a near location, there is a famous haunted tunnel, and even though it has been closed, bad rumors are increasing lately. Thirty years ago, there was an accident and more than twenty people died. As soon as they arrive, Reigen claims to be the new star of the paranormal world, and that he will take no time to clean this ancient mess. Listening to him, Mob stays outside the tunnel, Reigen panics immediately, ordering his pupil to follow him. Once inside, they face the spirits of those dead in the accident, however, they are not the ones causing problems. Unaware of his incredible powers, Mob faces a terrible monster and finishes the job without issues. Every time he uses his powers, a progress count appears, what kind of disaster will occur once he reaches 100%? A webcomic created by ONE, which began publication on Ura Sunday on April 18, 2012, and concluded on December 22, 2017. An anime adaptation produced by Bones began on July 12, 2016. The second season began airing on January 7, 2019.